Joe Cretella is an application engineer with six years of experience in rapid prototyping and additive manufacturing. His focus is on stereolithography, selective laser sintering, MultiJet Fusion, and direct metal laser sintering technologies and provides guidance to engineers on designing for manufacturability. Joe regularly consults with product development professionals from a range of industries including medical, consumer products, aerospace and automotive. 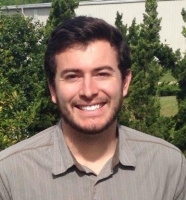 He graduated from East Carolina University with a degree in Industrial and Systems Engineering and is currently working for Protolabs, a rapid manufacturing company specializing in custom prototypes and low-volume production parts.